This Is The End Of Your Quest. We Have A South Carolina Court Reporter For You. Your search for a qualified South Carolina court reporter ended. Discovery Litigation Services is a full service legal solutions provider specializing in real time court reporting, founded by an experienced court reporter. Discovery’s decades of involvement within court reporting and the broader legal community has afforded us the skill and connections necessary to provide you with the right South Carolina court reporter for your case. 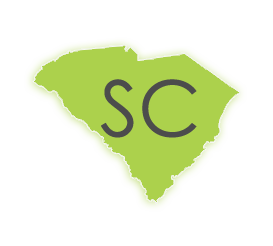 Our South Carolina court reporters are available to work for you right now. No matter where your deposition takes place, we will provide a certified South Carolina court reporter anywhere in the state, with little to no advanced notice necessary. Discovery Litigation Services is a comprehensive solutions provider, meaning, we don’t stop at court reporting. We can handle, coordinate, or staff every facet of your deposition so you don’t have to. From document review attorneys to paralegals and legal videographers, we have an experienced legal professional ready to handle whatever is required. With Discovery Litigation Services, you get more than a single one-sized fits all answer. You get custom tailored solutions to satisfy the varied and unique needs of your case. You get decades of experience put to work for you. With Discovery, you get more. With Discovery Litigation Services on your side you will never be left to scramble for last minute fixes and never left to fend for yourself. If a court reporter falls ill, rest assured the job will be done and at the same high level of standard upheld by Discovery Litigation Services. By enlisting one of Discovery’s certified court reporters, you are mobilizing a team of professionals to work for you. When you hire a single freelancer, that’s all you get. You have no backup and little recourse if they fall ill the morning of the deposition, get lost along the way, or have a conflict of interest. Discovery Litigation Services is a hedge against force majeure. Unforeseeable events happen every day, but they don’t have to derail your deposition. With a network of highly qualified and certified court reporters at your disposal last minute and delivered anywhere in the world, you can be sure that the qualified court reporter you need will be ready on time to help your deposition go off without a hitch. Booking a Real Time court reporter through Discovery Litigation Services gives you immediate access to the highest quality court reporters regardless of your deposition location. With our video enabled court reporters, we can beam to you the most qualified court reporter for the job. You don’t have to settle for whoever is nearby when you can book a court reporter who is experienced in the language, case size, and type of case you need. Don’t let geography dictate the level of professionalism and expertise you get. Always enlist the best for the job and we make the best available for every case. With Discovery Litigation Services ushering depositions into the twenty-first century, you reap the rewards of a more democratized access to superior legal solutions. The smart technologies Discovery employs makes it possible for you to win in three ways previously impossible: fast, affordable, and right. You get the whole triangle! Get exactly what you need fast. Get it for an affordably competitive price, and we get it done at the highest standard of quality.